$30 off an eye exam OR $30 off a complete set of glasses. Excluding hair services; Cannot be combined with other discounts. Carry your card with you and present it in advance when asking for a discount. 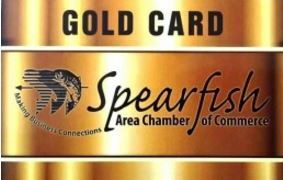 Cards are available at the Spearfish Chamber office.